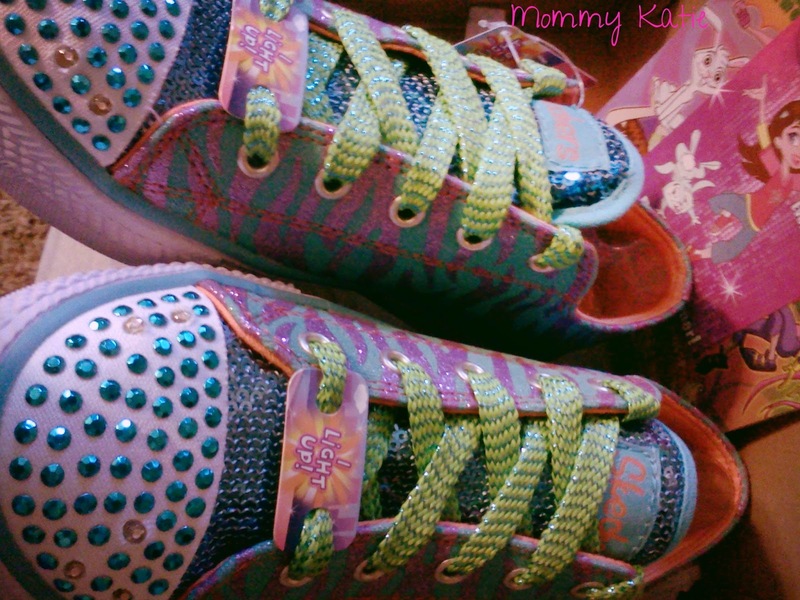 #Giveaway #RC Go Back To School In Style With Skechers Twinkle Toes CLOSED! I know that not everyone enjoys all of that back to school shopping, but like it or not, it is here! We have been heading out, getting those back to school deals, before the crowds rush in. I like to find the items that are not only on those mandatory school supply lists, but also find the clothes and new shoes that my kids want ahead of time, so that I can relax for that last week instead of fighting the crowds. As many of you know, well my Estrella loves fashion. The girl loves to shop and she loves to find those hot fashions that are going to be hits among her friends this year. When it comes to shoes, well Estrella has never been the type to go for the plain shoes, nope, she likes to be bright and stand out. So when we were given the chance to review some shoes from Skechers, well, Estrella was in heaven! Skechers have been a favorite brand of shoes for her since she was a diva in the making as a toddler, and even as she gets older, she still finds those must have styles that captivate her. This year, she wants to sparkle and shine, literally, and she is also into all of the animal prints, so when she caught sight of the Skechers Twinkle Toes Shuffles Wild Streak shoes, well lets just say it was love at first sight for the girl! I mean, these one pair of shoes have it all when it comes to her present style. They are glittery and sparkle, and they also shine and blink when she walks, oh and lets not forget that they are zebra print, which seems to be the in thing as far as she is concerned! When these shoes came in, I saw what she saw, if I were a young girl, I think I might have gone for these shoes too. They are definitely bright, and that is what she loves, to be bright and shine, I mean with a name like Estrella which means “Star”, she can not help but shine! I love that when we get Skechers shoes for my kids this back to school season or for any reason, they will not only be getting the awesome shoes that they love and want, but I am a happy mama knowing that the shoes will last even through those rough recess’s with their friends! Well to help my readers with some of that back to school shopping, the wonderful people from Skechers would like to give one of my readers their own pair of Skechers Twinkle Toes!! All those great colors! I really like the Girls' Bella Ballerina: Curtsies – Tiny Twirler. I like the Twinkle Toes Shuffles Triple Up with the star designs. I love twinkle toes shuffles in dimples best! I like the sweet steps in pink! My daughter loves the Bella Ballerina shoes. I entered the Country Crock giveaway and the CVS baby prize pack giveaway. I like the Purple/Pink Shuffles Love Burst. I love the Girls' Twinkle Toes: Shuffles – Sweet Steps in silver pink! I think my daughter would love the Wild Streak in Blue/Purple. Love their Girls' Hydee Plus 2: Cha-Ching! I like the Shuffles – Sweet Steps. I think the Girls' Twinkle Toes Shuffles – Sweet Steps shoes are so cute! I like the big dreams and the heart and stars shuffles. I like these: http://www.skechers.com/style/10249/twinkle-toes-shuffles-triple-up/pkmt#Color=PKMT the triple up, but there were so many great designs! I love the shuffles glow! I really like the Girls' Twinkle Toes shuffles triple up! I like the Somethin Wild ones. 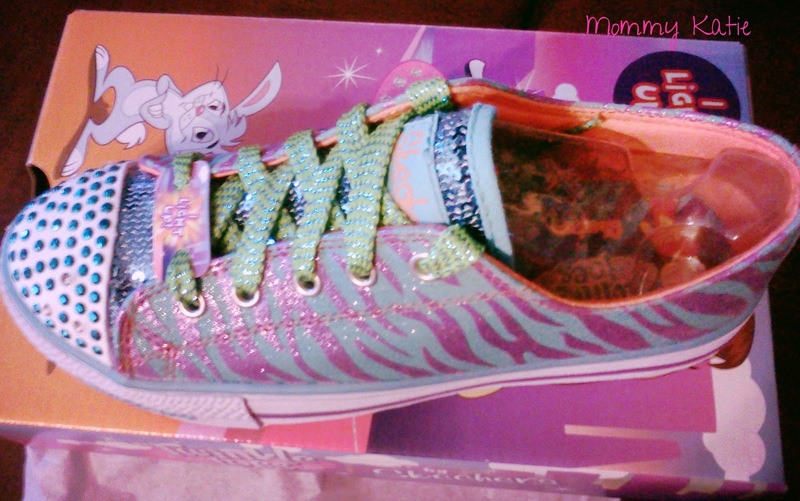 Girls' HyDee HyTops: Gimme – Starry Skies is another cool pair my niece would like. I really like the twinkle toes triple up! my favorite pair is Girls' Skechers GOrun ride – Ultra in Pink/Multi colors. I really like the Girls' Twinkle Toes: Shuffles – Lil Wild! I would choose the Girls' S Lights: Party Lights – Sparkle Diamonds. I would get the silver size 8. All of the Skechers shoes are adorable but for something alittle different I would love to have the Girls' Twinkle Talls: Gimme – 4 Upz for my daughter too. My daughter would flip for the Girls' Twinkle Toes: Shuffles – Superstyle. I love the Girls' Twinkle Toes: Shuffles – Sweet Nothings. I like the Dazzle Light shoes. Girls' Skechers GOrun ride – Ultra are so cute! I like the Twinkle Toes Shuffles – Wild Streak. Thanks for hosting! My favorite is the Girls' Twinkle Toes: Shuffles – Sweet Steps in Pink/Pink. I like the Sweet Steps shoes! I like the girls lite kicks! I love the Girls' Twinkle Toes: Shuffles – Sweet Safari! I like the Girls' S Lights: Party Lights – Sparkle Diamonds! I love the Twinkle Toes Shuffle Glow Girl shoes. I like the Girls' Twinkle Talls: Gimme – 4 Upz!